When Your Middletown Home Experiences Water Damage, Our Crew Is Here To Help! Is Your Middletown Home Ready For Spring? Enduring long winter months makes us appreciate the beauty of spring and summer even more, and we eagerly await their arrival. Our home also goes through its seasonal adjustments, and this can sometimes cause water damage as pipes freeze and then thaw, leaving us with leaks, wet wall cavities, and living areas. Thankfully, professional help to restore your home and protect it from the elements is just a phone call away. SERVPRO is your best ally when there is water damage to your home in Middletown. Our services begin the minute you call our 24-hour hotline, and our Green Fleet is dispatched to your home. Upon arrival, we assess the extent of the damage and identify areas of priority for our team. Timing is vital when dealing with the aftermath of a leak, and the best way to mitigate your losses is to reduce the time water is saturating the structure of your home and your belongings. Most homeowners may not realize that water extraction is not a one-size-fits-all approach. Our SERVPRO crew pays close attention to the affected surfaces and employs specialized equipment to restore appropriate moisture levels. 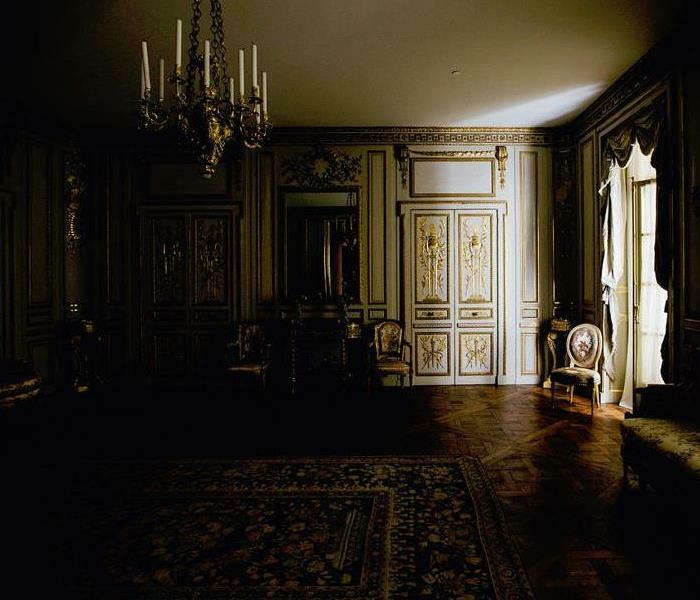 Leaving a surface excessively dry, for example, a hardwood floor can cause further damage which is also true for excessive moisture, which can cause buckling. Monitoring the humidity level of each material is of paramount importance in our work. When extracting water, our SERVPRO team may use different types of pumps, from truck-mounted to handheld ones, all to achieve the optimal extraction for the surface we are cleaning. Our work is not complete until we also dry each surface thoroughly. Drying could include a technique in which we drill holes into your walls to encourage air movement into your wall cavities to ensure no water deposit is left unaddressed. Click here for more about Middletown. Mold Remediation in East Haddam, CT. Helping Residents with Their Remediation Needs! Many of us can identify the smell of mold or what appears to be mold, but identifying mold visually can be a little tricky. While black mold is common and sometimes easier to spot, mold comes in an array of colors and species. Mold is typically found in dark, damp areas and areas with high levels of moisture, such as bathrooms & attic spaces. As mold spores are everywhere, they easily cling to organic material like wood especially when exposed to moisture. Here at SERVPRO of Middletown/New Britain we have the expertise and equipment to remediate mold before it spreads further. In any instance, any source of moisture should be addressed before mold remediation can begin. Otherwise, mold will likely come back. For a professional visual mold assessment of your East Haddam home, call our office at 860-826-5169. Fire Damage near East Hampton, CT? SERVPRO of Middletown/New Britain can help! Water & fire damage can leave powerful odors behind. Once the Fire Department leaves you’re left to put the pieces back together. Here at SERVPRO of Middletown/New Britain we have ‘state of the art’ equipment to remove airborne contaminants and control air quality. When it comes to fires, soot and smoke particles tend to settle on carpets, furniture, walls and other flat surfaces. While plastics and other synthetic materials can leave behind chemical residues that are harmful if inhaled. After you suffer a fire loss you need a quick response. SERVPRO of Middletown/New Britain offers 24-hour emergency services to ensure that your home is efficiently restored to preloss condition. We have the training & technology to prevent secondary damage to floors, and other building materials. From Kensington to East Haddam, we serve your Connecticut town. Winter storms are inevitable despite our best preparation efforts. What are the most common damages that winter storms cause to your Berlin, CT home? The past few winters have been hit or miss. Some years we have been pummeled by feet of snow, other years have been relatively mild. However harsh or mild the winter season may be, we can always count on at least a handful of significant storms to deal with. 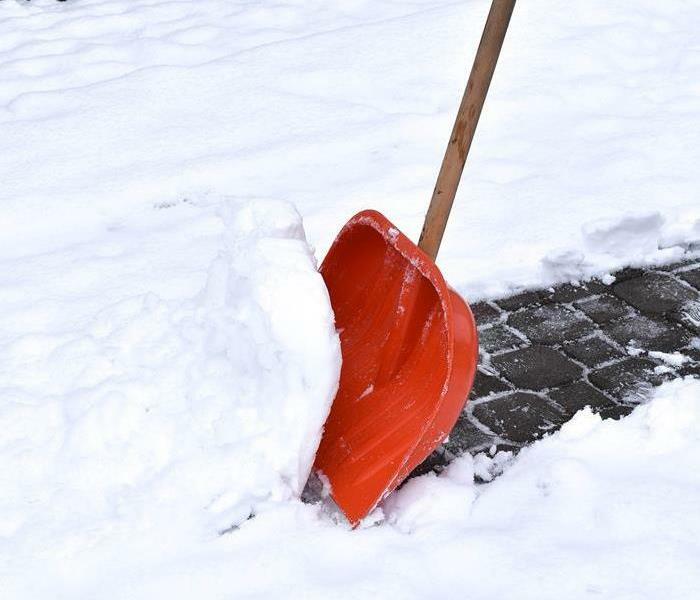 Along with the snow we must clear from our driveways and the black ice we must be careful of on our streets and steps, these harsh winter storms can cause lasting damage to our homes and commercial properties. Roof damage is very probable in winter months. Roofs bear all the weight of snowfall and are constantly bombarded with wind and ice. 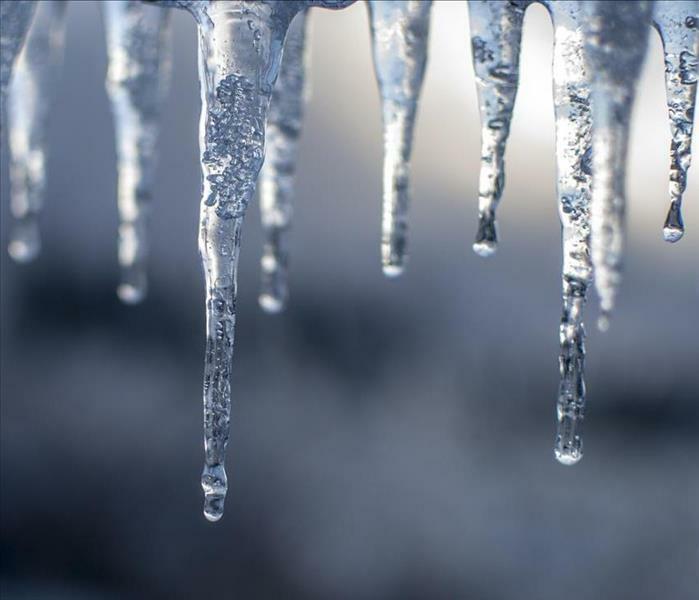 Ice dams can potentially occur which lead to leaks and structural damage. Ice dams form when snow on the roof melts, runs to the edge of the roof, and then refreezes, forcing water back up under the roof. If you find leaks in your roof, be proactive and call SERVPRO of Middletown/New Britain right away (860-826-5169). Immediately tack a tarp over the damaged area until qualified SERVPRO of Middletown/New Britain technicians arrive on the scene. Remove snow on the roof as soon as possible to prevent new ice dams from causing damage. Look into getting better attic insulation to prevent ice dams in the future. 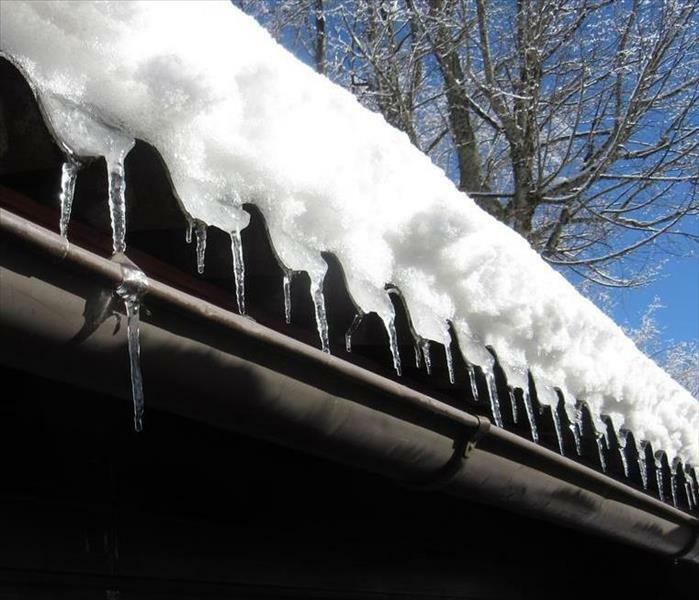 Ice dams can do damage to your home or commercial property’s gutter system as well as the roof. Ice dams build up on the edge of a roof and can pull gutters away from the roofline. Water that freezes inside gutters and downspouts can also cause significant damage to your gutter systems. Clean gutters before winter begins and remove ice dams as soon as you can. The materials that you choose for your gutter system are different costs. Research what material works best for you and your property. Install a preventive gutter screen system to avoid debris from clogging your gutters and downspouts. In case of any of the problems listed above affect your home or commercial property, trust the team that's 'Faster to any disaster.’ We’re just a phone call away and will promptly deal with any damage that the New England winter may bring to your home or commercial property. Your Haddam home has suffered fire damage. What does SERVPRO of Middletown/New Britain’s remediation process look like? The last handful of blog posts have focused on household and commercial problems that occur frequently in the winter. 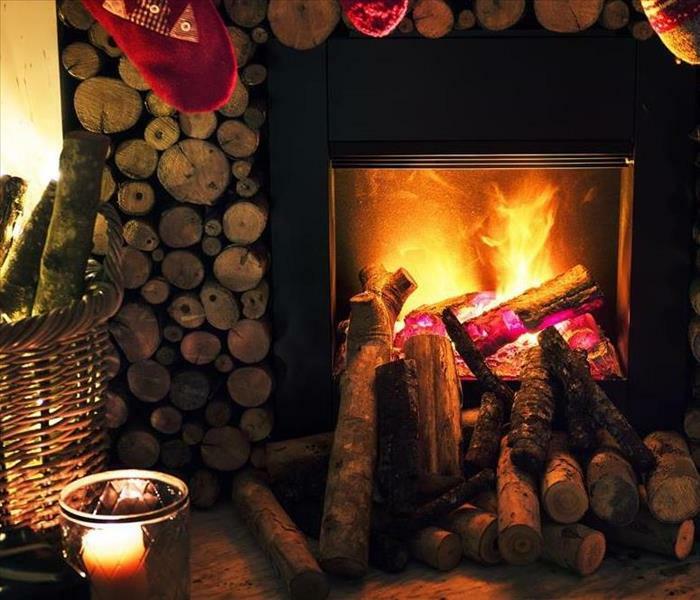 A couple of posts gave helpful tips and advice about preparing your homes and commercial properties for winter, one went in depth about the causes of winter fires and the some simple, yet potentially life-saving, steps you can take to prevent any such disaster from ruining your holiday cheer. What if the worst happens and a fire damages your property? Let’s go more in depth about the process: What do you do to remediate fire damage to your home or commercial property? Create an escape route - Before any disaster strikes your home or property, it is best practice to have a prepared escape route and emergency plan. 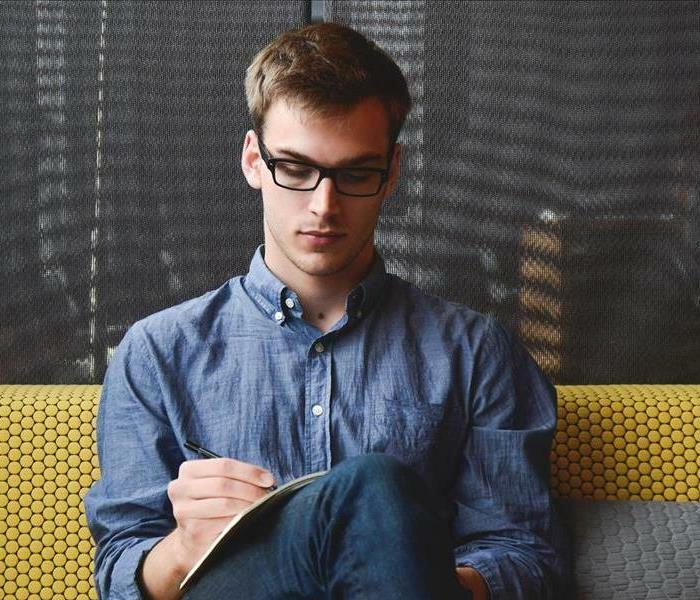 Creating a plan in advance and going over it with your family, tenants, and or employees will ensure that in case of an emergency, everyone will know what to do and where to go. Make sure you and your family are safe - The first and most important step is self-explanatory. Make sure you and your family are safe. Any home that has suffered fire damage contains airborne toxins, smoke, and quite possibly structural damage that could pose serious risks. Make sure that you assess the damage and potential risk before returning to your home. Call SERVPRO of Middletown/New Britain’s highly trained fire restoration technicians – Our SERVPRO of Middletown/New Britain professionals are on call 24/7 and are ready to remediate any fire damage your property has sustained. After the fire trucks have left the premises (if they were required) your Middletown home and belongings will likely have suffered fire damage, smoke damage, and more likely than not, water damage from the firefighting efforts. SERVPRO technicians are equipped for fire, water, smoke, and mold cleanup and restoration. Our technicians have participated in extensive training of odor removal and deep cleaning of upholstery and carpet which are some of the most problematic effects of a fire. In the event of a tragedy, the last thing families or property owners want to think about is the process of rebuilding. Working with most insurance companies, SERVPRO of Middletown/New Britain will make sure that you and your loved ones are treated with respect, courtesy, and empathy. Let us handle the dirty work and get your property back to pre-fire condition as quickly and efficiently as possible. Stay on top of the winter season and its added threat of fires. Call 860-826-5169 and talk to our staff about your damage restoration needs! What winter services does SERVPRO of Middletown/New Britain offer to Home & Commercial property owners? SERVPRO of Middletown/New Britain is the premiere restoration service in Connecticut. Though locally owned, SERVPRO is part of a national network with over 1,700 franchises spread throughout the country. We proudly and quickly arrive on site to deal with the worst that winter has to offer. With 24-hour emergency service, you are always a phone call away from receiving speedy, efficient, and professional help to clean up any mess. Our SERVPRO technicians are trained to handle leaks, flooded basements, and fire damage. When leaks and floods occur, mold is never far behind. Damage from ice, melting snow, and wet conditions all are optimal environments for mold to grow. It only takes a small leak for mold to form in in your East Haddam house or business. Our technicians utilize specialized training, equipment, and expertise to remediate mold infestations. Please feel free to read through the other blog posts from this month. Along with helpful tips about how to prepare your home for winter and the remediation processes in case any of the above mentioned problems do arise this winter in your homes and commercial properties, the previous posts go into more depth about the process. Stay on top of winter, but if winter gets the best of you call 860-826-5169 and talk to our SERVPRO staff to mitigate any damage to your home or commercial property! Is your Cromwell Commercial Property ready for winter? All too often winter strikes without warning. As property owners it’s easy to keep pushing off maintenance and winter preparation for one more week, one more day, and then WHOOSH, all of a sudden, the snow and ice arrive in towns like Durham, CT in full force. 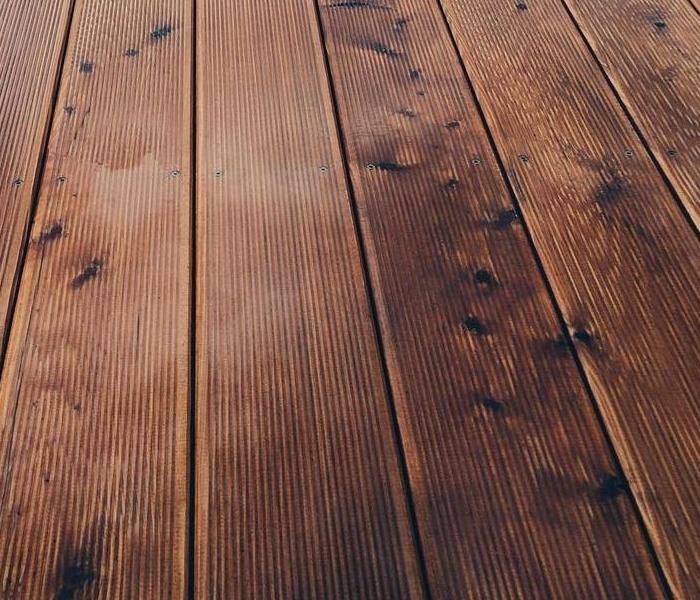 It may seem tedious at first, but preparing your properties for winter is the best way to avoid winter related damage and disaster. Being proactive (before disaster strikes) can save you hundreds, if not thousands of dollars. Taking precautionary measures is the best way to ensure that your Cromwell, CT property stays safe and secure throughout the long New England winter season. Most commercial property owners agree that one of the most important steps to take for winter preparedness is to have your HVAC systems checked. Checking your HVACs throughout the year is optimal practice, but the winter especially. Fix any issues and make sure your systems are running efficiently before the heart of winter. Be sure to properly insulate all exposed pipes and shut off all water systems that aren’t being used during the winter. Ensure that your property is ice free. Clean and salt all parking lots, sidewalks, stairs, and entrances (in and around your property). Keeping tenants and guests safe from black ice and slippery spots is a must! All of the steps needed to fully prepare your property for winter are costly, both in terms of time and money. However, in the long run, taking these precautions is the best course of action. All too often we wait until problems are knocking at our door. Why be reactive when you can be proactive? Even with astute planning, winter can bring unwanted gifts to home and property owners. SERVPRO of Middletown/New Britain is locally owned and on 24-hour emergency call. In case of leaking roofs, basement flooding, ice damage, water damage and whatever else winter throws at you, our highly trained restoration technicians will have your property back to pre-damage condition and get you back to focusing on what’s most important during the holiday season. Trust the team that's 'Faster to any disaster' and just a phone call away! Call 860-826-5169. Keep your Durham home safe from Fire Damage this winter! As winter is starting to settle in Durham, CT, it brings along with it blizzards, ice damage, basement flooding, water damage and leaking roofs. It may seem ironic, but winter is the season in which the majority of home fires occur. As a matter of fact, more than half of all home heating fires occur during December, January, and February. Heating equipment is a cause in nearly 1 out of every 7 home fires. We all have enough on our plates dealing with the effects of snow & ice, and fires are the last thing we want to think about. Keep all flammable materials at least 3 feet away from any heat source. 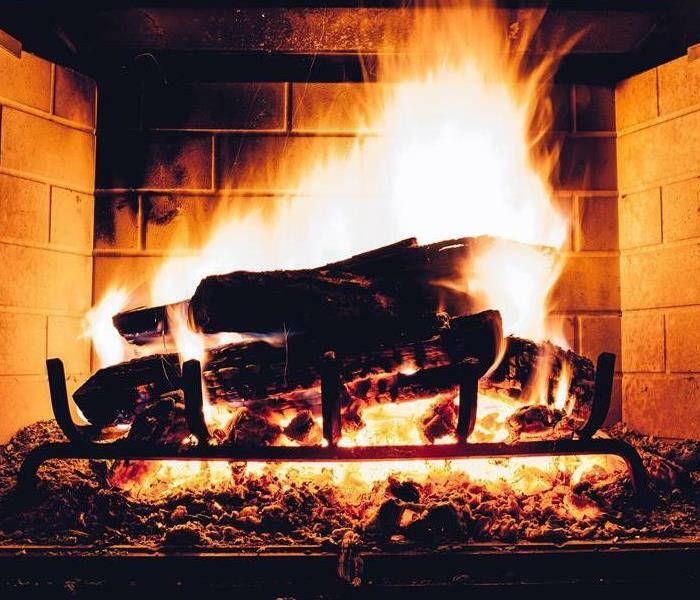 Heat sources can include, but are not limited to, fireplaces, wood stoves, radiators, space heaters, and heated blankets. Take a quick look around any of the listed heat sources and read the product labels of all items next to the heat sources. If you’re using a space heater, make sure you plug only 1 heater into an electrical outlet at a time. Keep portable generators outside and away from all windows. A good rule of thumb is to keep generators as far from your home as possible, but be sure to keep them at a minimum of 15 feet away from your home. In addition to the fire hazard they present, they also emit carbon monoxide fumes. Install a carbon monoxide alarm in your home. Not just related to winter fire, carbon monoxide alarms should be installed in your Connecticut home and tested at least once a month. Depending on the layout of your home, it may be a good idea to buy multiple detectors to stay safe. Installing one detector per floor, including the basement, is a way to put safety first and avoid harmful contamination. Should you happen to suffer a fire loss this season keep in mind that we offer 24-hour emergency restoration services. Here at SERVPRO of Middletown/New Britain we have highly trained fire restoration technicians who are equipped to handle the worst fire damage. Not to mention, our SERVPRO technicians have the expertise to guide you through the overwhelming experience of fire damage. For a stress free claims process, we'll work directly with your insurance company, helping to manage the insurance paperwork and process. Call 860-826-5169! Winter Roof Damage and Repair: How will you prepare your Middletown, CT home? A trained inspector will look for cracked or loose seams, failing sealants, gaps and separations, as well as punctures in the roof that may not be visible from the ground and offer solutions to fix any problems they may detect. All of the leaves, acorns, and other autumn debris eventually will create clogs in your gutters and downspouts if not cleaned properly. If clogged, melting snow and rainwater could potentially overflow and damage your roof, trim, and siding. Once all the leaves have fallen, take the time to give your gutters a thorough cleaning; your house will thank you for it later! Another great preventative measure to take to prep your house for winter is to do a walk around of your property and make sure that there aren’t any hazards that pose a threat to your home. Hanging tree limbs, adjacent buildings, debris caught in gutters, faulty power lines. Being proactive is the best way to prevent disasters. In case of roof damage and leaking our SERVPRO professionals are highly trained water restoration technicians. When you may suspect your Middlefield home has roof damage, call SERVPRO of Middletown/New Britain. SERVPRO is on emergency call 24 hours a day in case the worst case scenario does happen. Locally owned and operated we will happily and expertly handle any leaks that winter may give you as an (unwanted) gift. Call 860-826-5169! Winter is coming to Berlin, CT! Staying on top of mold: Hope for the best, prepare for the worst! However simple this may sound, we have witnessed (and have been the recipient) of flooding that has ruined clothing, books, furniture, and electronics. Head to your favorite local hardware store and stock up on waterproof plastic containers (with lids). This simple purchase could save you thousands of dollars in valuables, as well as your possessions with priceless sentimental value. Another simple yet effective means of preventing mold from destroying your things in case of basement flooding is to build or purchase a simple shelving unit that keeps all your valuables above water level. If your basement has flooded before, this should be easy to identify, but any shelf taller than 3 or 4 feet should do the trick. If the worse happens, it will be easy to relocate all of your items to a dry, warm environment where they can be saved from any effects of mold. Getting people trained to look for warning signs is a great way to stay ahead of flooding. A qualified SERVPRO professional is a great resource to check for any pre-existing mold. Often times mold is hard to, if not impossible, to spot without firsthand experience. In the event of a flood, our SERVPRO of Middletown/New Britain professionals are just a phone call away (860-826-5169). Our experienced staff are efficient, knowledgeable, and are experts at handling any problems that may result from winter flooding. Don’t let winter kick you around! By following these simple steps you will be well on your way to keeping you and your valuables safe and sound. 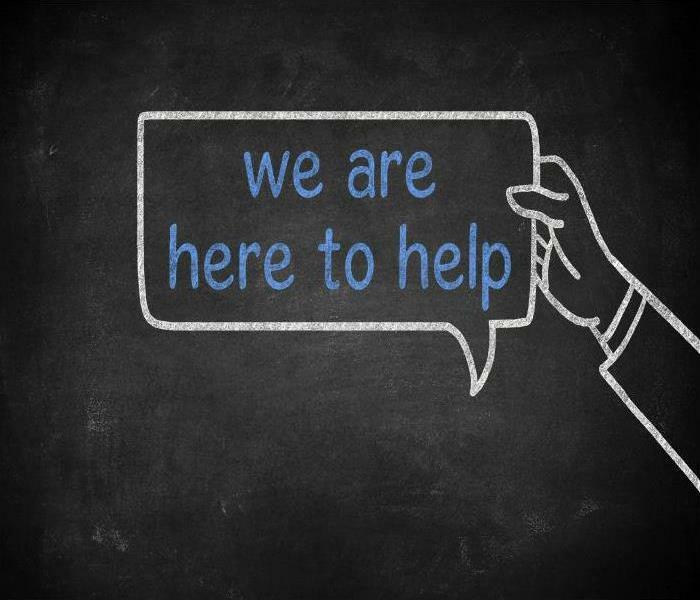 4/10/2019 - When Your Middletown Home Experiences Water Damage, Our Crew Is Here To Help! 12/27/2018 - Mold Remediation in East Haddam, CT. Helping Residents with Their Remediation Needs! 11/30/2018 - Fire Damage near East Hampton, CT? SERVPRO of Middletown/New Britain can help! 11/30/2018 - Winter storms are inevitable despite our best preparation efforts. 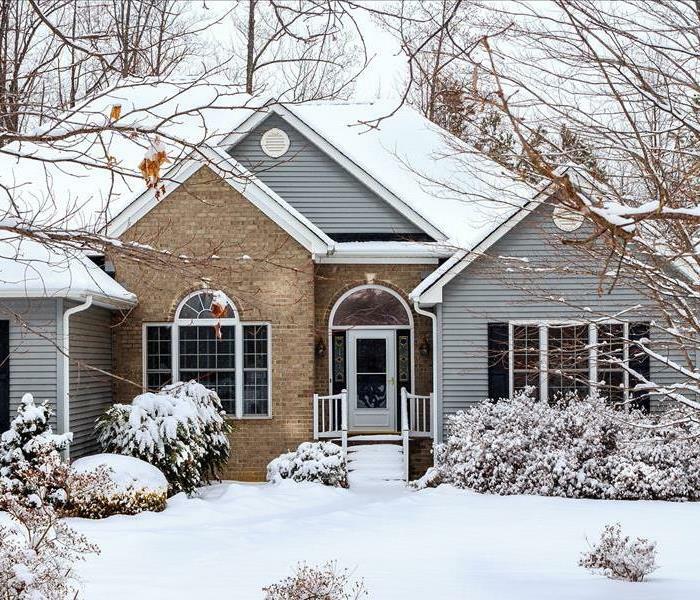 What are the most common damages that winter storms cause to your Berlin, CT home? 11/30/2018 - Your Haddam home has suffered fire damage. What does SERVPRO of Middletown/New Britain’s remediation process look like? 11/27/2018 - What winter services does SERVPRO of Middletown/New Britain offer to Home & Commercial property owners? 11/27/2018 - Is your Cromwell Commercial Property ready for winter? 11/27/2018 - Keep your Durham home safe from Fire Damage this winter! 11/21/2018 - Winter Roof Damage and Repair: How will you prepare your Middletown, CT home? 11/21/2018 - Winter is coming to Berlin, CT! Staying on top of mold: Hope for the best, prepare for the worst!